Unfortunately, your heater can’t gain sentience and tell you that it’s experiencing troubling symptoms that could potentially lead to a breakdown, so sometimes you have to look for the signs. Signs that your heating system is in trouble aren’t always blaring problems that interrupt the daily flow of your home either. We see a lot of circumstances where a heating problem has greatly advanced or even escalated to a breakdown because homeowners didn’t realize the problems they experienced were a symptom of heater malfunction. 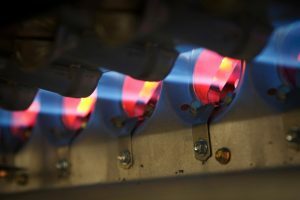 If you need heater repair in Burley, ID then make sure to contact our team here at Evans Plumbing Inc.
Unsure if the problems that you’re experiencing constitute the needs for full on repairs? We understand this problem. Sometimes you don’t know if the low airflow you’re experiencing is going to be a persistent problem or just a passing peculiarity. Sometimes you might think it’s something you’ve done that can be easily rectified. If you’re unsure if you need furnace repair then we’re here to guide you in the right direction. If you need furnace repair in Ketchum, ID then we’re the team to call. Make sure that you trust one of our conscientious technicians with your furnace system—we’ll keep you warm this winter.